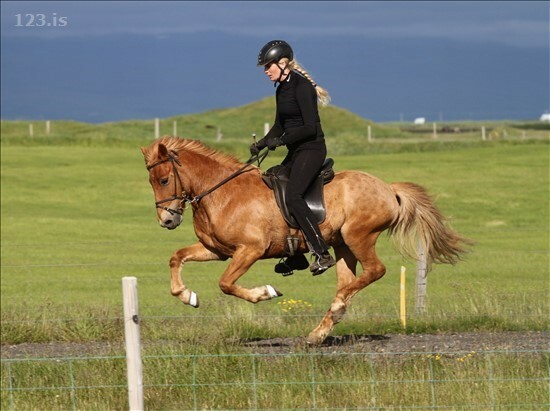 Hlynur is a talented 4 gaiter with natural high movements on all gatis and is a really nice character. 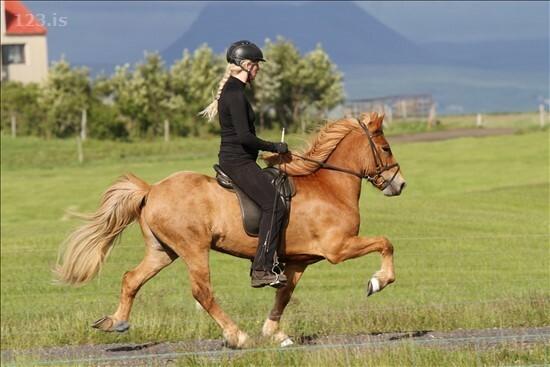 His gaits are really equal and all of them are good. His tölt is clear and soft and with lot of movements. 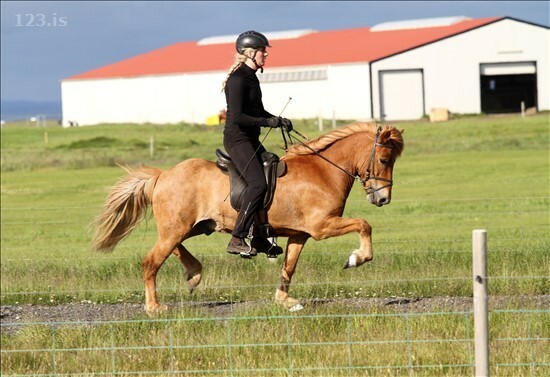 Trot has great suspension, canter is high and 3 beated and walk is always relaxed and nice. His character and willingness is great. He is really safe to ride and is used to all traffic and is not afraid of things in the enviroment. 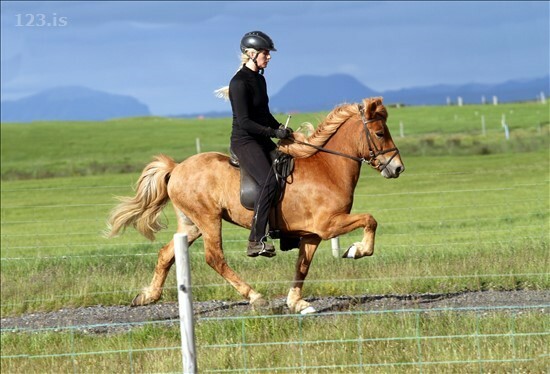 He is a relaxed horse to be around but his willingness is just like you want calm but always forward like you wish. 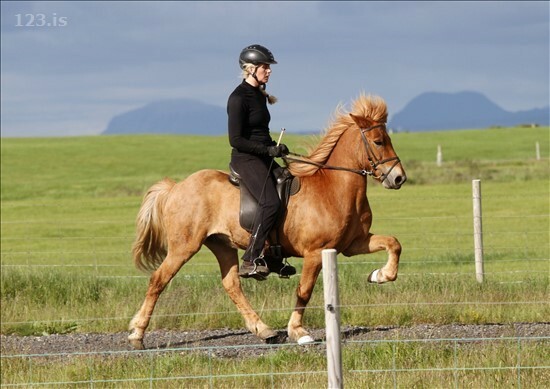 He is well trained and knows allot in dressage and he is easy to train in to form. 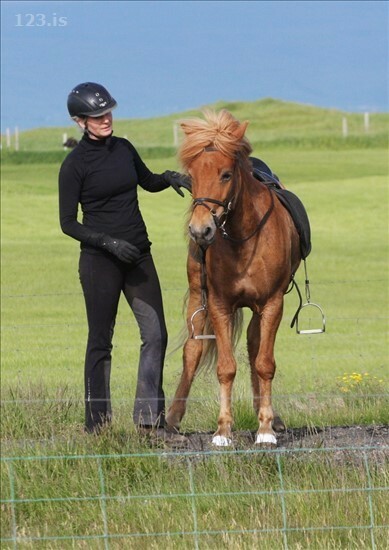 It is lots of fun to train him in a paddock or a riding hall. 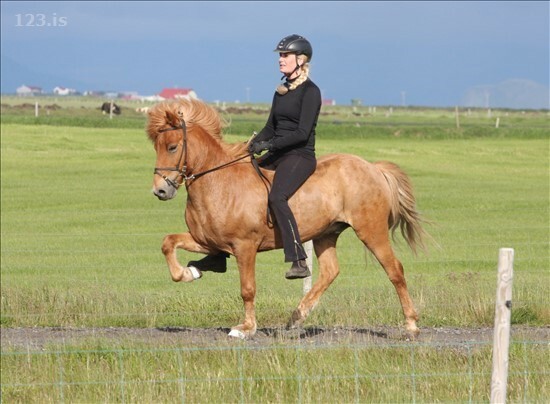 Hlynur is not a big horse - actually he is rather small but he has so much main and things about him that makes people notice him long way. His charisma is great when you see him live. 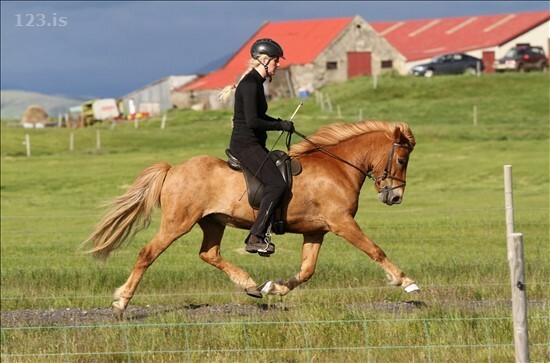 He is safe to ride and would fit perfect for young rider or a woman that needs a promising 4 gaiter and wants to develop his horse more and build him up. Þægur og traustur fjórgangari með góðar gangtegundir og mikinn fótaburð. Myndi henta vel í yngri flokka.